On 9 September 2017, Symphony Hall in Birmingham was packed with brass band enthusiasts for the annual British Open contest. As has become tradition, the Birmingham Citadel Band (Bandmaster Gavin Lamplough) presented a pre-contest concert in the foyer of the hall. After Rob O’Connor took a photograph of the band to mark the occasion, the program opened to an already good-sized audience with one of the Salvation Army’s most famous and popular marches, Celebration by the late Leslie Condon. It was quite clear to see how well-received the opener was by the audience’s reaction. The mood quickly changed with an emotive performance of Just As I Am (Wilfred Heaton), and then again as the band demonstrated the quality of its players with Mozart’s Overture to “The Magic Flute” (arr. Michael Kenyon). The middle section of the band had an important part to play in the next few items. First the horn section was featured in Deep River (William Broughton) and then the talented Neil Blessett offered a tenor horn solo. Blessett’s performance of King of Kings (written by Bandmaster Lamplough) was very special and the audience were captivated, with a notable change in atmosphere and a lot of conversation stopping as they listened. Sam Creamer is one of the emerging talents among Salvationist composers, and the next item, High Over All, gave different sections of the band an opportunity to feature, both individually and together. The piece brought a samba party feel to the foyer of Symphony Hall. The mood changed again with Thomas Rives’ reflective arrangement of I Know a Fount. The last soloist of the concert was David Taylor (euphonium), who played an arrangement of Auld Lang Syne (arr. Keith Wilkinson). Although this tune is usually associated with a time about three months after the performance, his effortless performance kept this thought at bay. Martin Cordner has become a popular Salvationist composer by creating pieces that incorporate different genres and feature both traditional and contemporary songs, capturing the listener’s imagination. The band’s major work of the concert was The Adventurers by Cordner, which features the melodies “He leadeth me”, “By his hand”, and “Lead me”. It wouldn’t be a Salvation Army band concert without concluding with a march. On this occasion, it was Hillcrest (Bruce Broughton) that concluded a fantastic concert. The audience had certainly grown in size as the concert went on, entertaining many people and giving the Birmingham Citadel Band an opportunity to be out in the community that they call home. 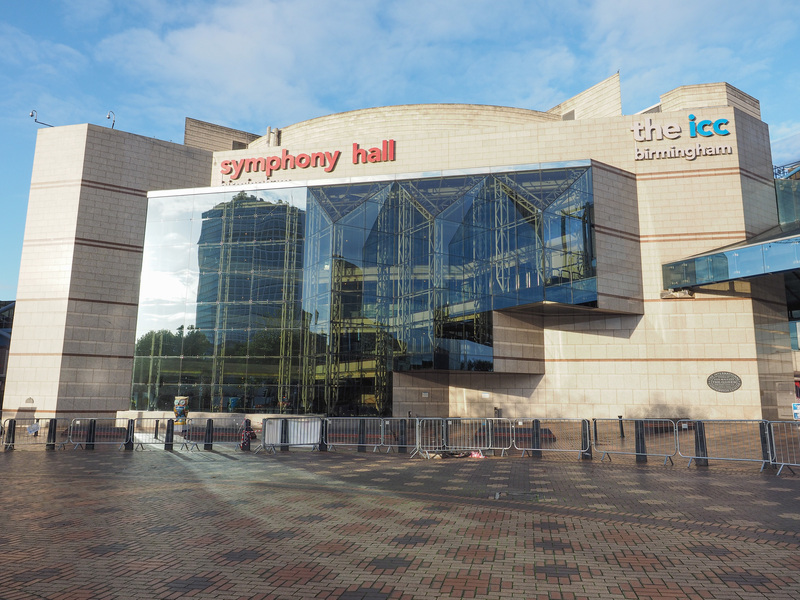 This article was posted in News and tagged Birmingham Citadel Band, Birmingham Symphony Hall, concert, David Taylor, Emily Croucher, Gavin Lamplough, Neil Blessett, Pre-Contest Festival on 3 October 2017 .